2017 CQ WW 160 results unassisted. 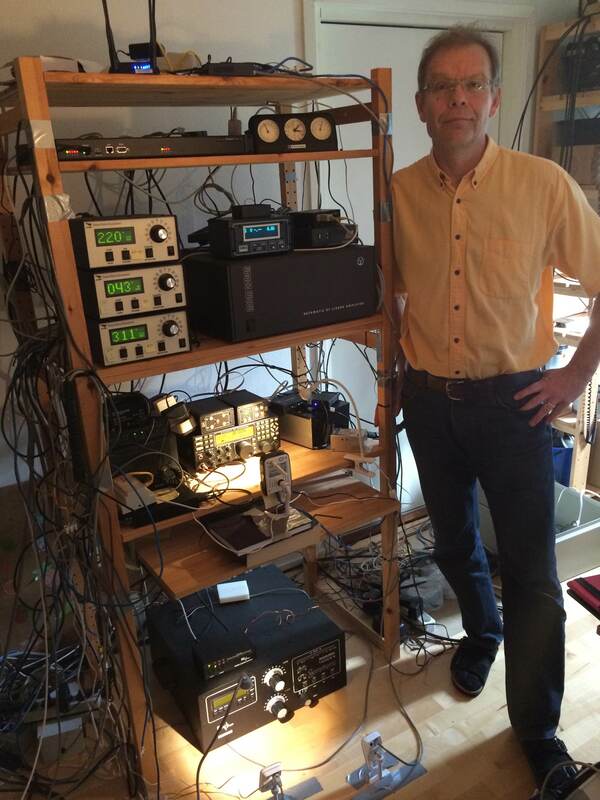 It was very fun running the contest with Flex-6700 and remote. Here ar e my results. Among top 30 in the world and among topp 10 in EU. Now with Flex Radio and Maestro and ethernet controlled you can really enjoy hamradio! Here during latest SAC Contest Sept. 17-18. Since starting in 2013 the evolution has been very rapid. Here is a set up till 20150101. Since starting in 2013 this is basically my set-up. Here is a set up till 201540101. 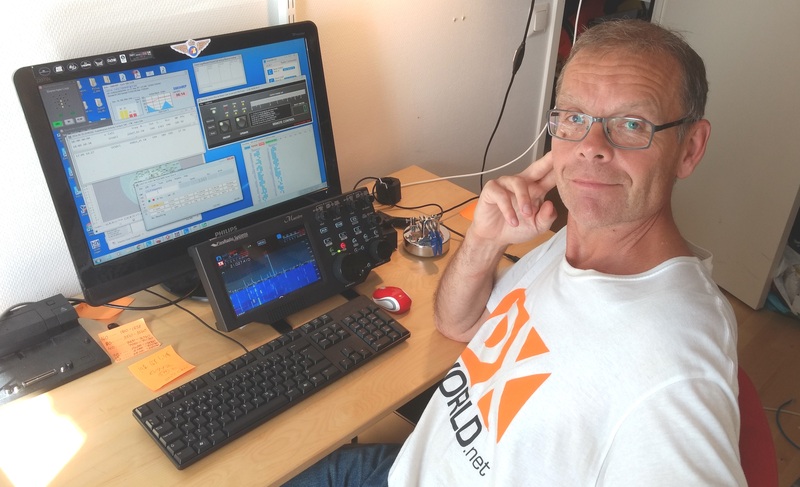 WORK DX OR CONTEST FROM THE SOFA! We love working DX and being competitive. Today it is more and more difficult from a suburban lot with all disturbances even if RFI problems have diminished with more and more digital equipment. We have run this set-up for three years now. Today we use ADSL but 4G is being rolled out over many places in Sweden now which gives more pleasure like 40 MBit transfer speeds and very low latency. Presently we use TRX-manager with an IC-7600 and it works perfectly. With the "Dual Watch" you can work split and listen simultanously on DX call. Now extra bandwidth required as with the Twin Remote Rig system. This season we have managed to work most DX-peditions on all CW band slots which prooves that it works even on competitive 80m and 160 m.
We plan to enhance the antenna range with a 3 sq on 80 m or a 2 el 80 m yagi. Possible also two phased 160 m Titanex HD as well. 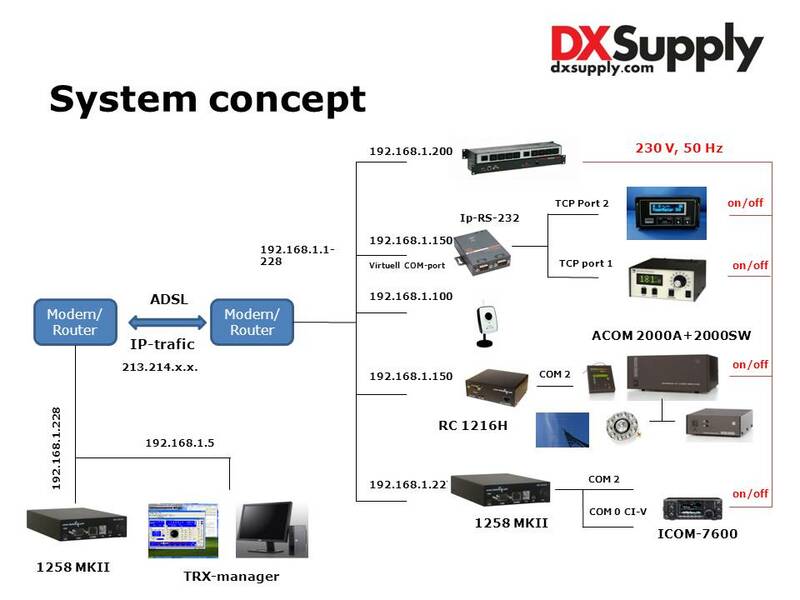 A more extensive description of our set-up technically is found here. We are running all euipment on one IP-subset that is controlled remotely via Microbits Remote Rig through A ADSL line with about 500 kB/s speed and about 30 mS latency and a Netgear N300 modem with lots of cababilites. Reliability is very good! We run 1 kW +, three towers, beverage antennas etx. See video on this.